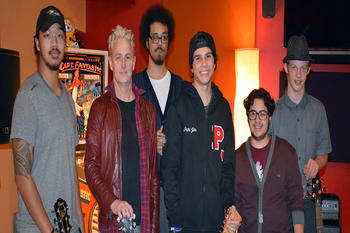 Five foster youths had the chance of a lifetime when they were invited to write a song with Pearl Jam’s Mike McCready. The teenagers recently graduated from high school with the help of Treehouse, a Seattle-based organization that provides academic and other essential supports to teens in foster care. You can watch a video of the recording session online and the song, “Try So Hard,” is scheduled for release later this year. “I think it’s important for the kids to believe in their dreams because they’re the ones who have to. They need to have the confidence in themselves to be able to say, ’I want this dream, this is how I’m going to get it, and these are the steps I need to take,' then hopefully, they surround themselves with good organizations like Treehouse, and good people that can help them on their way," Mike said about the experience. We can help anyone who would like to give the gift of a home to a child through foster care or adoption. "Treehouse Foster Care Students Job Shadow With Mike McCready at PJ Headquarters"
This is what I want to know more updates, imgrum Thank you so much for sharing! After seeing this post I guess you're the song writer over https://digthesegigs.com/concert-tickets-online/. Now the next step is compose that song in the recording studio. It is rare to see this type of creativity in this part of age where kid is able to make music from pearl jam member. That is the time where he had been dissertation surely wondering about a dream coming true for the first time.